Research suggests that image is key in the business world. As a result, it is imperative that shops and offices make a positive impression on clients and customers at all times. To help with this, businesses should consider investing in a self storage unit which can help to keep offices and retail outlets looking shipshape. Without this, your retail space or office floor may become a conduit for negativity and diminishing sales. 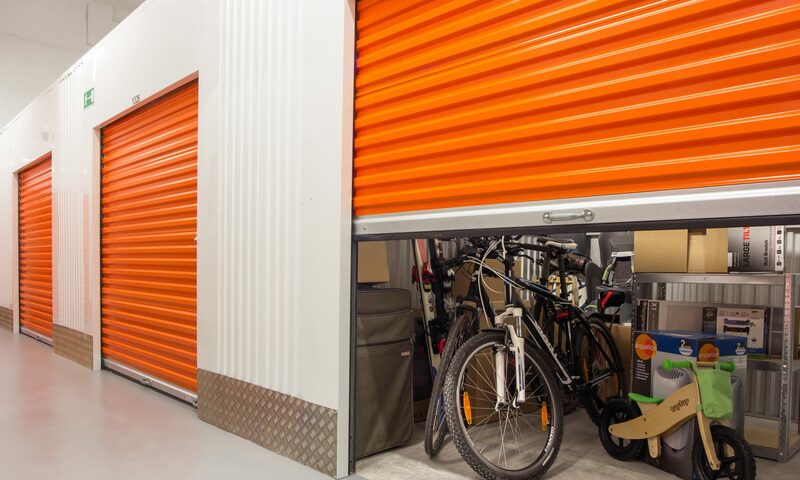 Self storage units are not only a cheap and easy way of tidying up your office they are also a great way of influencing your customers with a positive first impression. No one wants to deal with a company that is untidy and disorganised, that is why you should find a new home for those old files, unsightly filing cabinets or out of season stock. Unfortunately more often than not you will need to keep hold of some of that old information and that is where a storage unit can really help. By moving any of your old files or stock into a storage unit you can instantly make your office or shop look more organised for clients and customers alike. Remember though, it is important that you don’t move something into storage that you are likely to need as this can make you look unprofessional during a consultation or sale. As well as helping you to improve the presentation of your office or retail space, cleaning up your business premises can also have a positive impact on your employee morale. Workers respond to the environment in which they work in, therefore if you can make your office chic, sleek and organised they are also more to likely to introduce this into their working practices. A well-organised office can also help your workers to feel less stressed and more confident about the future of the company, making them more approachable to customers and a better presentation of your company image. So if you want your employees to tell customers about your positive business practices or product offerings make sure that they are also in an environment which makes them believe what they’re saying. Using storage rooms and lockers can help you to keep your offices and shops de-cluttered and are therefore a great way of keeping your customers impressed. Some business will find the extra space which a storage unit gives them an invaluable source of flexibility in their product offering. Shops in particular will find that they no longer need to keep piles of un-needed stock in store and that they can take advantage of cheap bulk offers without over-filling their shelves. Whilst self storage units obviously come at a price, the benefits which they offer can sometimes prove to outweigh their financial cost. So if you want to make sure that your customers are impressed with your fully-stocked and fresh shop display then having a storage room for your additional products can be invaluable. Similarly, if you are sales rep who is out on the road then having somewhere clean and dry to store your sample stock is imperative if you are to make the right impression during your sales presentation. So if you thought that storage facilities were only useful for storing old or unwanted items then think again. When properly used, storage units can help to improve your customers experience on a number of levels; boosting your company presentation, your employee morale and your overall product offering.